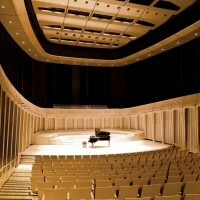 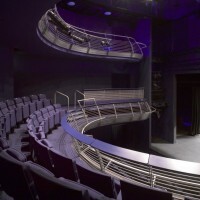 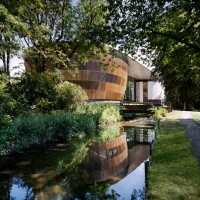 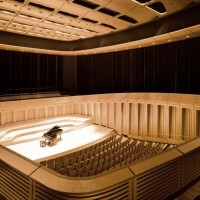 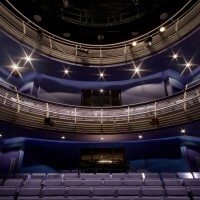 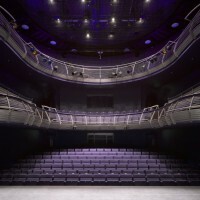 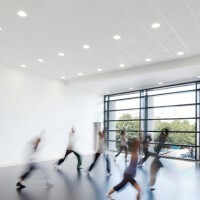 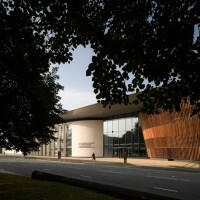 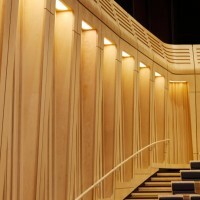 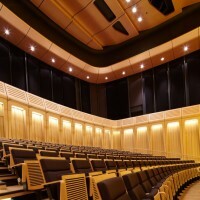 BFLS have designed the Royal Welsh College of Music and Drama in Cardiff, Wales. 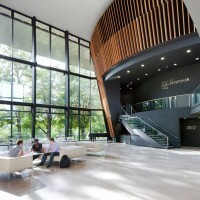 The design focuses on the core needs of the school community, namely an acoustically magnificent collection of performance and learning spaces which encourage and motivate the buildings’ occupants. 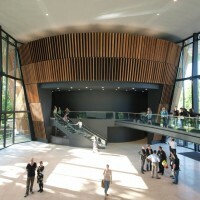 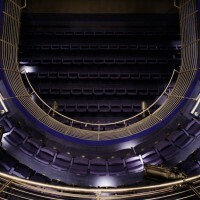 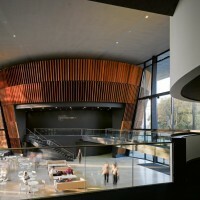 Designed from the outside in, each performance space is conceived as a separate building. 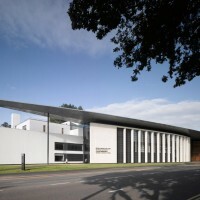 The drama building forms a new façade and the recital hall sits amongst the woods adjacent to the existing building. 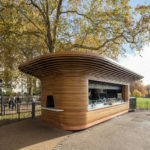 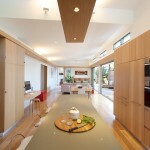 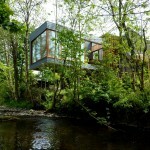 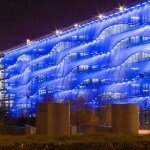 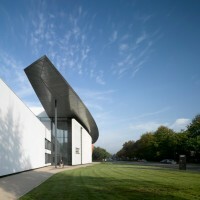 These elements are unified by a single floating roof. 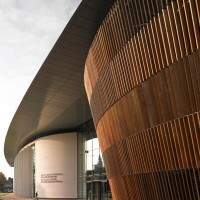 The new entrance to the college opens out on to stunning views over Bute Park and an arcade forms a new spine linking the whole functioning as exhibition space for the Design & Costume Department, whilst doubling as the ‘lungs’ for the scheme as its natural stack effect ventilates the public spaces. 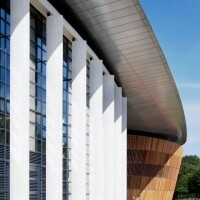 The building will achieve BREEAM ‘Excellent’ by incorporating sustainable solutions; a green roof, natural ventilation and ground source heating and cooling. 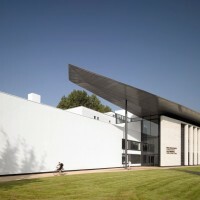 Visit the BFLS website – here.